The finger pointing will not solve our energy challenges. More than a decade of this has made most energy investments impossibly risky. This has pushed prices higher while hindering transformational change of our energy system. 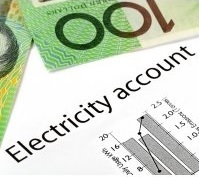 The result is enduring dysfunction in the electricity sector. As the Preliminary Report of the Finkel Review correctly notes, many of the technological, economic and consumer trends transforming our energy systems are irreversible. Policy and market designs need to evolve if investors are to deliver the energy services Australians require at a price they can afford. A raft of reforms are needed to encourage and support flexibility throughout the system. The next stage of the Finkel Review should be an opportunity to explore these possibilities and develop a comprehensive and integrated suite of reforms. Policy should be implemented promptly with broad based political support.